In search of an upbeat seaside venue for a small stylish conference that isn’t a major trek away from Cape Town? 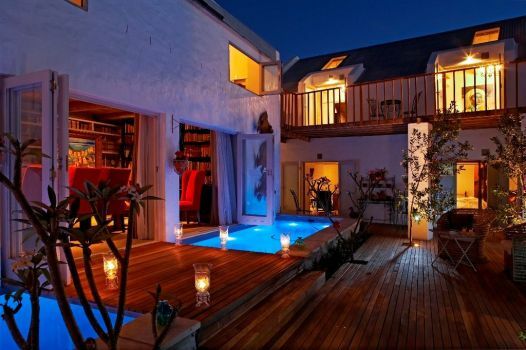 Abalone House in Paternoster on the West Coast could be just the pace for you. Offering plush meeting and boardroom facilities with a generous dash of flair and flamboyance, this five-star guesthouse is set beside the sea in quaint Paternoster. The boardroom looks out on a swimming pool and tranquil courtyard garden, with the vast Atlantic Ocean just beyond. Abalone House has ten superb suites, some with sea views. The suites are air-conditioned and have flat screen televisions and cappuccino/espresso machines, mini-bars, iPod docking stations, CD and DVD players and a digital weather forecast station. There’s also a rooftop Jacuzzi with a sea view for when the work is done. 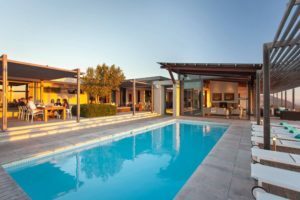 Other facilities include a swimming pool, bar and the fabulous Saffron Restaurant where Chef Darren Stewart serves incredible meals under sparkling chandeliers. Special menus can be arranged for conference groups. Sixteen delegates will be very comfortable in the boardroom at Abalone House, seated in stylish high back chairs around a large antique table. Books line the walls and artwork adds colour to the venue. There’s underfloor heating and air-conditioning to cater for all weathers. A good range of media equipment is on hand for your use, and there is wireless internet connectivity throughout. There is also as a small business centre which offers additional internet access for Abalone’s guests. 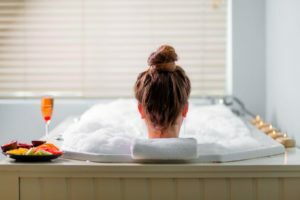 There are lots of wonderful activities nearby when energies need to be recharged. Kayaking, pottery and cooking workshops, and scuba diving are on offer close by, and a little further afield in Langebaan there is kite surfing and a daily sundowner lagoon cruise. A Spring getaway to the West Coast also offers incredible displays of spring flowers that carpet the West Coast each year. Be sure to explore the area’s nature reserves while you’re there. Mail our Getaway Consultants for more information and well-priced conference packages that are available until the end of August 2011, or call 0860 102 907 (local) or +27 21 797-7122 (international).